A recent fiasco resulted in one hell of a silver lining. 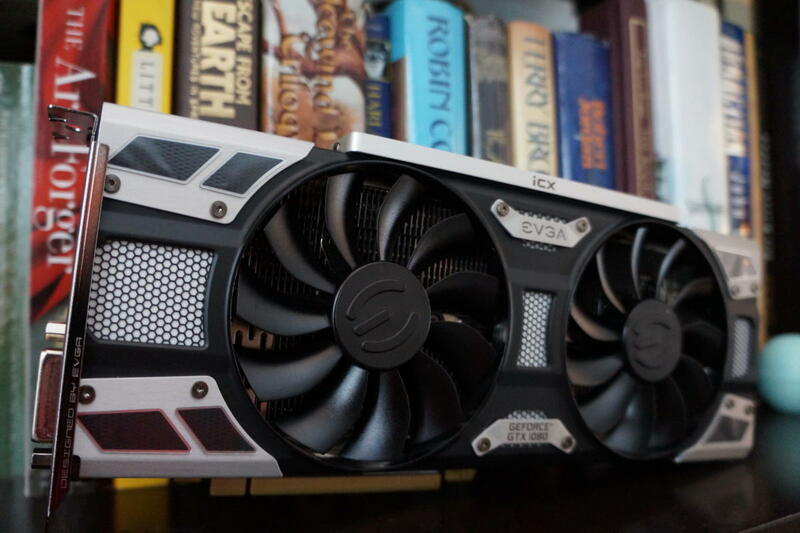 Graphics cards aren’t what they used to be—and that’s a good thing. Nvidia’s ferocious GeForce GTX 1080 blows the pants off its predecessor in sheer, overwhelming performance while actually drawing slightly less power, and generating only slightly more heat overall. But here’s the thing about traditional video cards: A single sensor on the graphics processor determines how cooling is handled for the entire board. 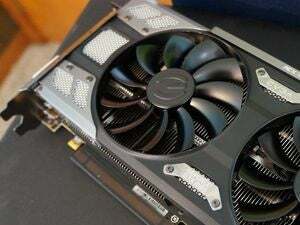 That’s bad, popular hardware maker EVGA says, because the “Pascal” GPUs inside the GTX 10-series are so power-efficient that a graphics card’s memory and voltage controllers actually generate more heat than the GPU itself. So today, EVGA’s rolling out a revolutionary new “iCX” graphics card cooling solution that relies on not one, but ten different sensors to monitor and intelligently adjust how each and every part of the board dissipates heat. The fancy new tech is debuting in several of EVGA’s GTX 10-series models, which we’ll dive into in more detail later. 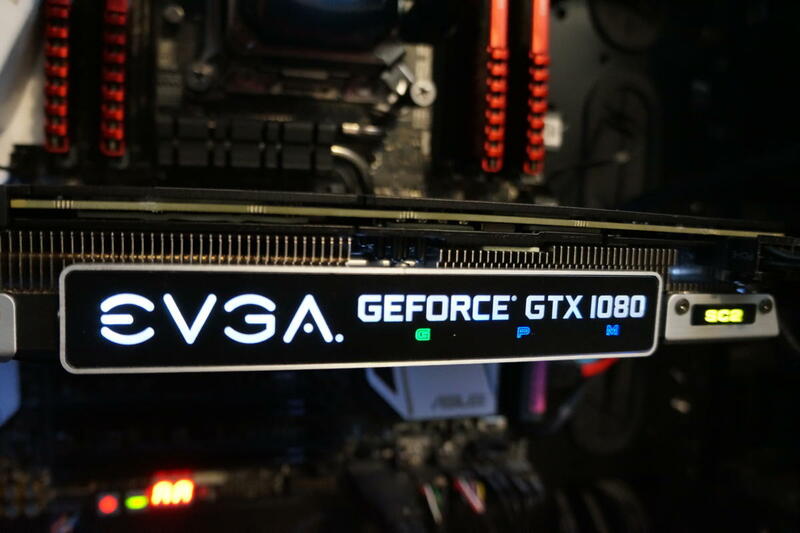 EVGA sent PCWorld one of its new GTX 1080 Superclocked 2 graphics cards—a cousin to the beastly GTX 1080 FTW that we loved so much—and an updated version of its Precision XOC software (which is also going live today) so we could dig deeper into the iCX cooling technology. Let’s go! The EVGA GTX 1080 Superclocked 2 with iCX cooling technology. The story behind the story: The inspiration for EVGA’s iCX cooling actually comes from a scandal surrounding the GTX 1080 FTW late last year. The Internet rioted when several of the cards died in explosive fashion. Subsequent sleuthing revealed that the hardware lacked cooling on its voltage regulator modules. EVGA acted quickly, offering free thermal pads and pushing out a BIOS update that increased fan speeds to lower on-board temperatures. 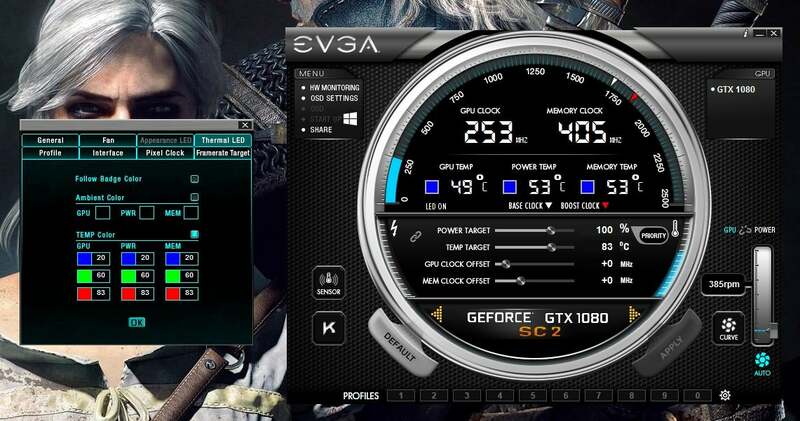 Even though an internal investigation proved that the EVGA GTX 1080 FTW wasn’t failing at a higher rate than previous-gen graphics cards, the tempest provoked EVGA to examine how graphics card cooling works in the Pascal era. The solution to the problem? Sensors, sensors everywhere. 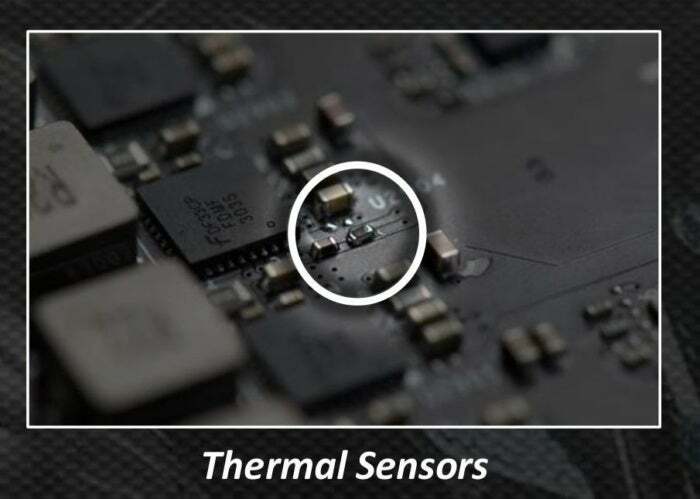 EVGA’s iCX cooling technology still includes a traditional GPU temperature sensor, of course, but it adds nine additional ones—a sensor for the rear of the GPU, three for the graphics card’s memory modules, and five for the power controllers. You can monitor them yourself, too. The updated version of Precision XOC shows the average temperature for each hardware category in its main interface, or you can see the temperatures for each and every sensor by clicking the newfound Sensor icon, which will cause a secondary window to open. Those sensors affect how the two fans on the front of the graphics card behave. Unlike most video cards, which run their fans in tandem based on the temperature of the graphics processor alone, the EVGA GTX 1080 Superclocked 2 (like all iCX-equipped EVGA models) dedicates the left fan to cooling the GPU, and the right fan to cooling the memory and PWMs. Each fan changes speed dynamically to react to the temperatures being put out by those individual elements of the GPU. If the memory’s heating up rapidly but the GPU itself is staying relatively cool (as was the case when I ran the Furmark torture test on the card for an extended period), the dedicated GPU fan maintains a slower—and thus quieter—speed, while the memory fan ramps up. It’s another lesson learned from the GTX 1080 FTW’s overheating fiasco from late last year. 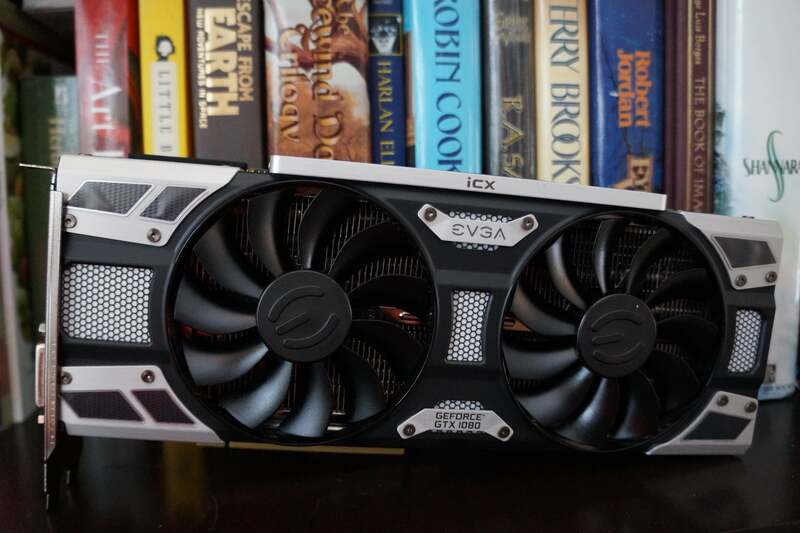 The BIOS fix EVGA pushed to compensate for the lack of VRM cooling simply kicked both fans up a notch, and as a result the card wound up running louder, GamersNexus tests revealed. The improvements offered in iCX’s asynchronous cooling addresses that design quirk and lets EVGA eat its cake and have it too. Precision XOC allows you to set custom, individualized fan curves for both the left and the right fan if you want to get fancy. EVGA’s in-house tests showing the granular temperature differences between iCX- and ACX-equipped Superclocked graphics cards. 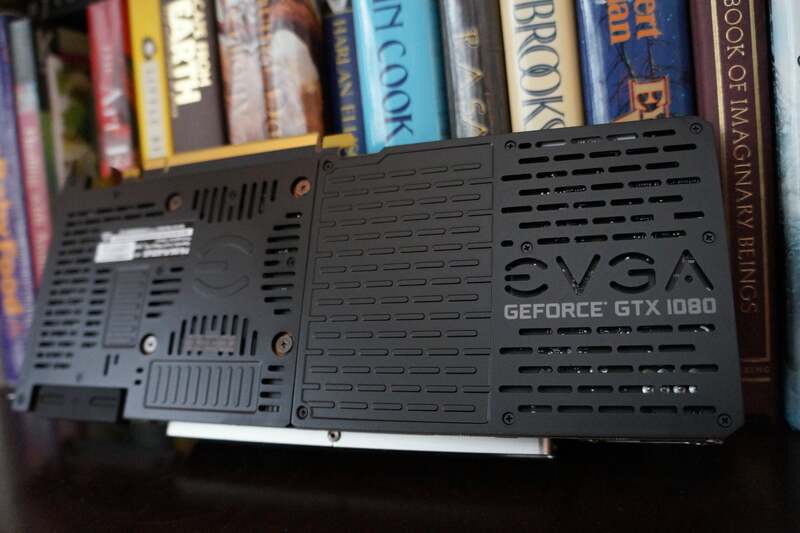 EVGA has all of the required testing equipment on hand, however. The company says that in its tests, the iCX cooling solution drops the main GPU temps by a few degrees, but other parts of the board see even bigger benefits—up to a 5- or 7-degree temperature decline in some components. That’s huge. Update: JayzTwoCents tested the iCX-equipped EVGA GTX 1080 FTW 2 with a thermal camera, applying both an overclock and custom fan curves, comparing EVGA's new card against the GTX 1080 FTW with ACX 3.0. It's a great video that's well worth watching, but tl;dr EVGA's iCX technology functions as promised. The iCX LED indicators on the side of the EVGA GTX 1080 Superclocked 2. Even niftier, you can see the effects of iCX with your own eyes. The side of iCX-equipped models display separate RGB lights labeled G, P, and M, for the GPU, PWMs, and memory. The color of each indicator depends on how hot each type of hardware is running. A blue light means everything’s nice and cool, a green light means you’re actively using the graphics card but temperatures are in the safe range, and red means danger, Will Robinson! Watching how the iCX technology affected the GTX 1080 Superclocked 2 as it hummed along in The Division wasn’t it just insightful, it was fun—and I dig how EVGA managed to use RGB lighting for a practical purpose rather than simple aesthetics. Diving into the new “Thermal LED” tab in Precision XOC’s options lets you fine-tune the temperature ranges for each RGB indicator, as well as alter the color for every stage of each indicator. Click the image above to enlarge it if you want to see the interface up close. The sensors, fans, and RGB lighting is just part of iCX. EVGA’s radical cooling solution also overhauled the design of the cooler itself to keep your graphics card running cool. The EVGA GTX 1080 Superclocked 2’s backplate. Both the baseplate and the backplate were designed to come into contact with all the crucial components of the card, allowing them to serve as quasi-heatsinks. Raised bumps on the backplate help add to the overall surface area, helping with heat dissipation, while numerous cut-outs help airflow through the body of the GTX 1080 Superclocked 2. 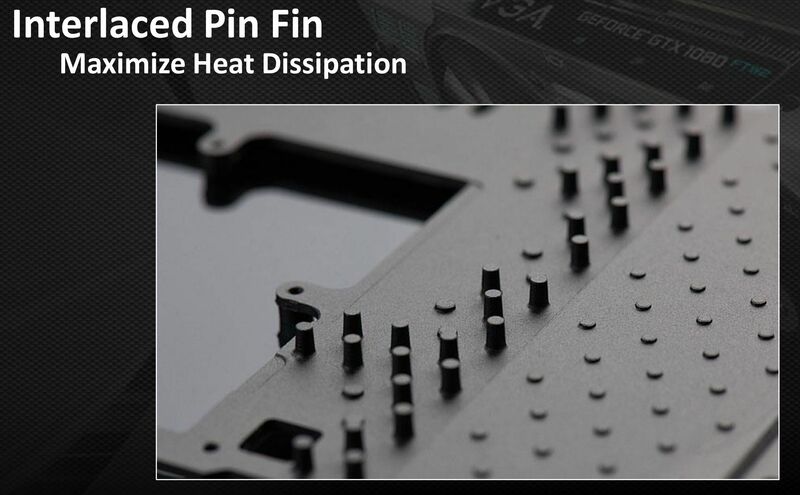 Tiny “fin pins” on the interior baseplate offer the same advantages as the backplate’s bumps. The actual heatsink inside the card, between the graphics processor and the fans, has also been tweaked to optimize airflow. 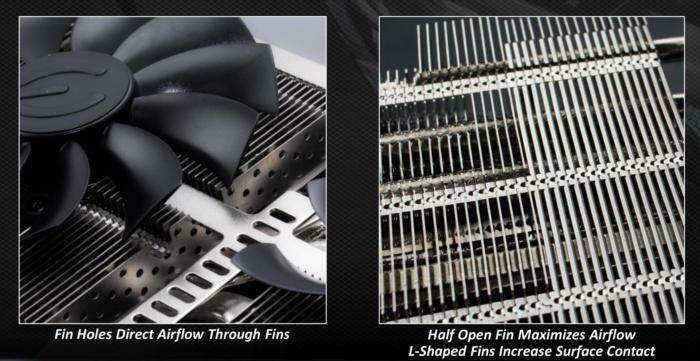 The fins were refined both to provide more contact surface and achieve better airflow, and they were also perforated with tiny holes to allow air to flow horizontally throughout the card. I asked Freeman if that reduced surface area harmed the cooling endeavor. He said that the increased airflow more than makes up for it, pointing to the temperature comparisons shown previously as evidence. Finally, iCX adds a unique safety feature inspired once more by the overheating debacle: An integrated safety fuse designed to protect your card in case that 0.01 percent chance of a catastrophic failure actually strikes. 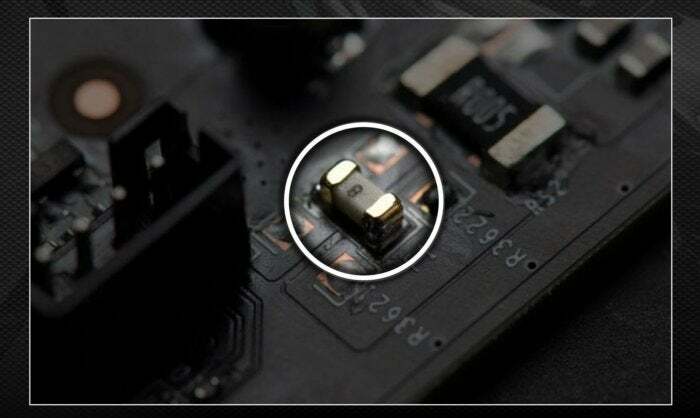 You’ll still need to send your card back to EVGA for an RMA if the fuse blows—but it’ll protect the core components of the graphics card from suffering a fiery death and possibly affecting the other hardware in your system. One thing decidedly lacking in this write-up: Gaming performance results. I received my review sample from EVGA on Thursday, in the midst of a New England blizzard that was causing my power to flicker—not exactly the ideal testing scenario. And as I said, comparing a beastly FTW model against the less-beastly Superclocked version isn’t apples-to-apples. This is the GeForce GTX 1080 you’ve been waiting for. 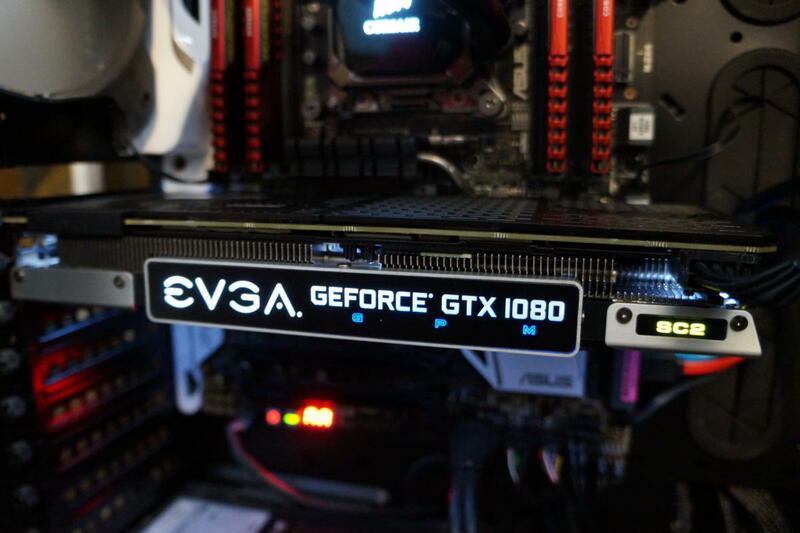 The EVGA GTX 1080 FTW puts EVGA's personal touch on Nvidia’s beastly card, and it's a winner, from its high base clock and custom cooling to its extra 8-pin power connection. But it’s not a major concern anyway, as Freeman says the iCX cooling technology isn’t likely to provide much in the way of raw performance gains. 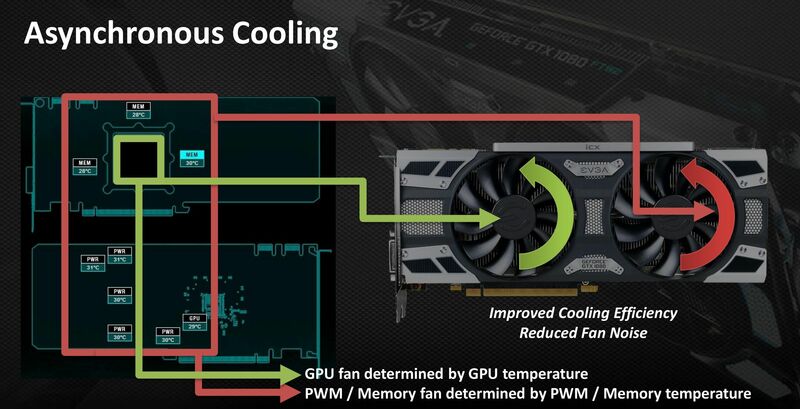 Instead, the goal was to provide a more holistic and granular approach to cooling in order to drive down both temperatures and fan noise across all areas of the hardware—which it appears EVGA has succeeded in doing. I loved the ACX 3.0 cooler on the original GTX 1080 FTW (seen at right), and the iCX cooler on the GTX 1080 Superclocked 2 is even better. Freeman also says the enhanced cooling may increase the overall lifespan of iCX graphics cards, though that’s borderline impossible to test. The EVGA GTX 1080 Superclocked 2 looks very similar to the ACX-equipped version on the surface, but the lip on the top says “iCX” in tiny letters. It’s also heavier and feels dense. Intrigued? EVGA’s launching iCX-equipped models of its GTX 1060, GTX 1070, and GTX 1080 graphics cards Friday, albeit in limited quantity initially. EVGA’s existing lineups with ACX 3.0 cooling will remain, but models with the iCX cooling solution will carry a “2” designation after their name, and iCX branding on the front of the box. For example, the GTX 1080 FTW will still pack an ACX 3.0 cooler. If you want the iCX variant, you’ll need to pick up a GTX 1080 FTW 2. The extra sensors, swanky RGB indicators, redesigned hardware, and fancy fans don’t come for free. Freeman says EVGA’s iCX graphics cards will carry a premium of roughly $30 over their ACX-packing counterparts. EVGA’s also launching a new step-up program where existing GTX 10-series owners can trade in their ACX 3.0-equipped graphics card for an iCX version for $99. That’s nothing to sneeze at. I’m guessing many people won’t be interested in spending that sort of scratch for minimal performance gains, especially since EVGA’s stock ACX 3.0 cooler already does such a bang-up job. This new iCX technology feels like a glimpse into the future, but I’m not sure how enticing it will be in the present, arriving nearly a year after the GTX 10-series launch. 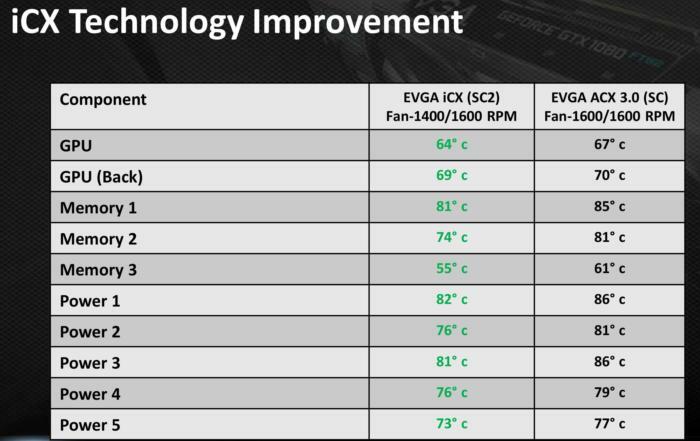 On the other hand, EVGA’s iCX is more comprehensive than any other air-cooling solution you’ll find on the market today and a stunning response to the overheating fiasco (that wasn’t). The iCX technology’s cooler, quieter peace of mind may well be worth the upcharge for some folks. Overclocking and aftermarket water-cooling enthusiasts will likely adore the level of information EVGA’s new cooling technology provides. And those RGB temperature indicators are just plain badass.